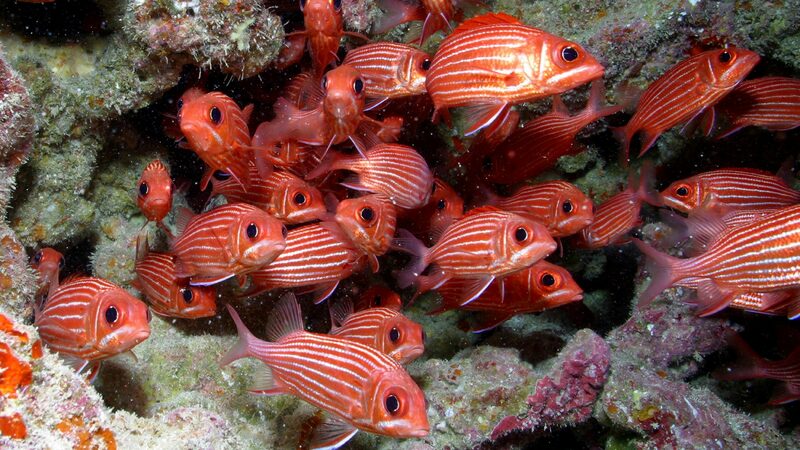 The Papahanaumokuakea Marine National Monument is now 583,000 square miles. It's like a National Park, but in the water. This week, America's National Parks celebrates their 100th anniversary—and to commemorate the occasion, President Barack Obama has decreed a 583,000 square mile ocean footprint off the coast of northwestern Hawaii a "no take" zone. The Papahānaumokuākea Marine National Monument (PMNM) was originally established at 140,000 square miles by President George W. Bush in 2006. Not only is the conservation area of huge importance to native Hawaiians, its coral reefs are home to more than 7,000 marine species—and 25 percent of these are unique to this region, including the Laysan duck, world's most endangered duck. Recently, the world's biggest sponge was also discovered in the PMNM (it's the size of a minivan, in case you were wondering). President Obama's decree expands Papahanaumokuakea to four times its original size—which makes it the largest marine-protected area on earth, about four times the size of California. The protective order means that no commercial fishing or mineral extraction will be allowed in the region—but "noncommercial recreational fishing, removal of fish and other resources for Native Hawaiian cultural practices, and scientific research will be allowed in the area by permit," reports NBC. "President Obama's efforts to enhance protections for our ocean ecosystem will help to combat climate change, preserve biodiversity, and honor cultural traditions," Hawaii Senator Mazie Hirono said. "As part of his announcement, I appreciate the President's recognition of the importance of commercial fishing to Hawaii's way of life and our shared goal of supporting Hawaii's sustainable pelagic fisheries."